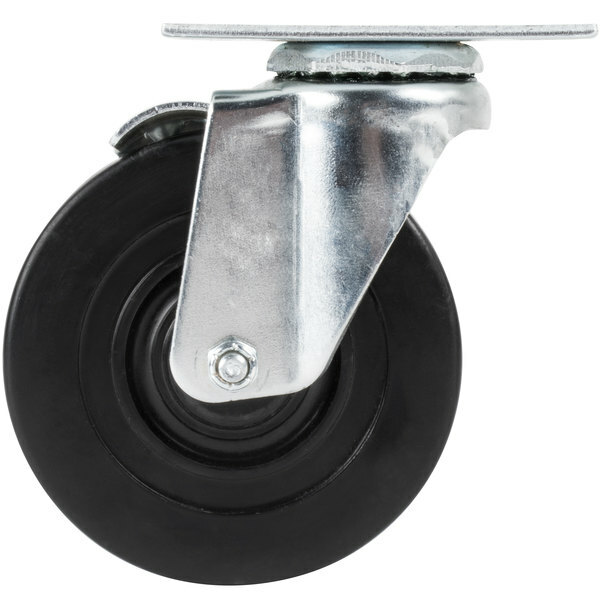 This 4" swivel plate replacement caster features a VertiLoc® brake for added security when you lock your equipment in place. 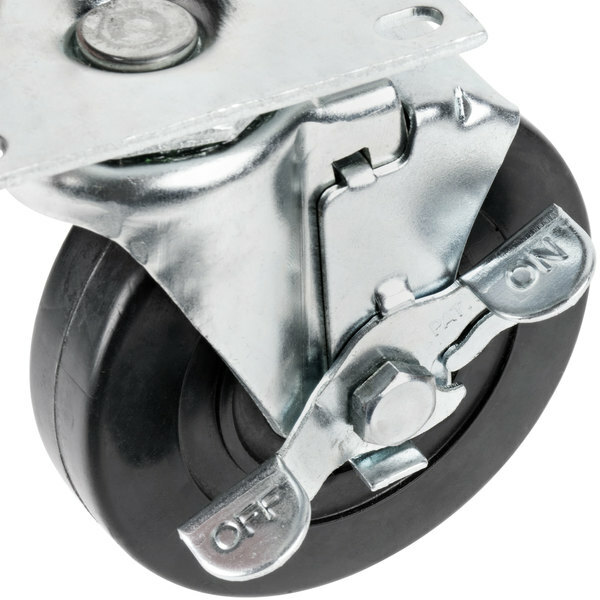 It has a heavy gauge design and a bright zinc plated finish to help prevent rust and corrosion. 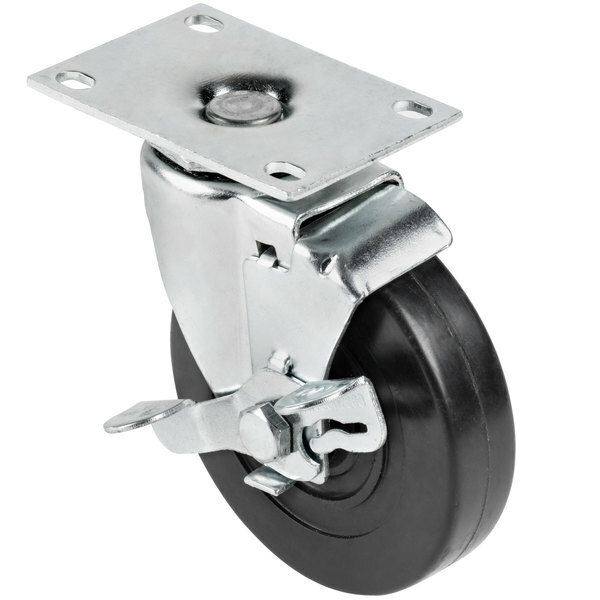 This caster easily swivels on a double ball bearing with hardened raceways and is made of hard rubber. 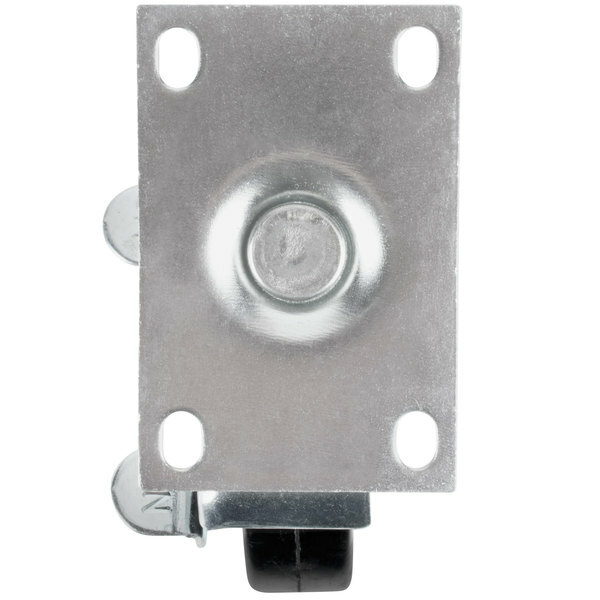 The top plate measures 2 3/8" x 3 5/8" and has bolt holes at 1 3/4" x 3". 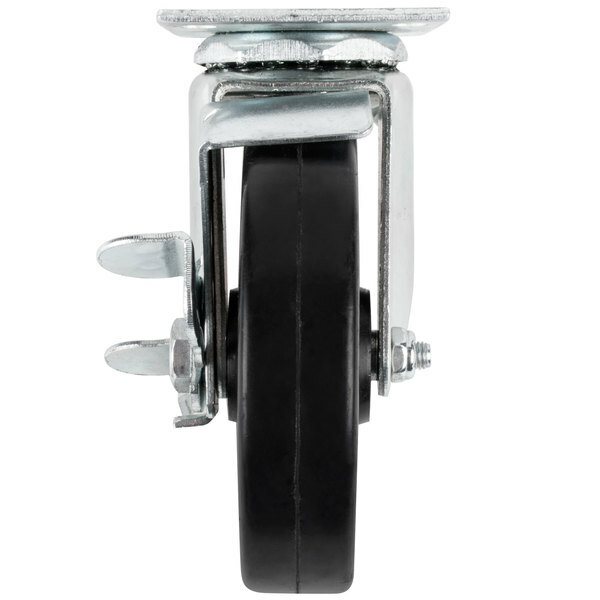 The mounting bolt size is 5/16". 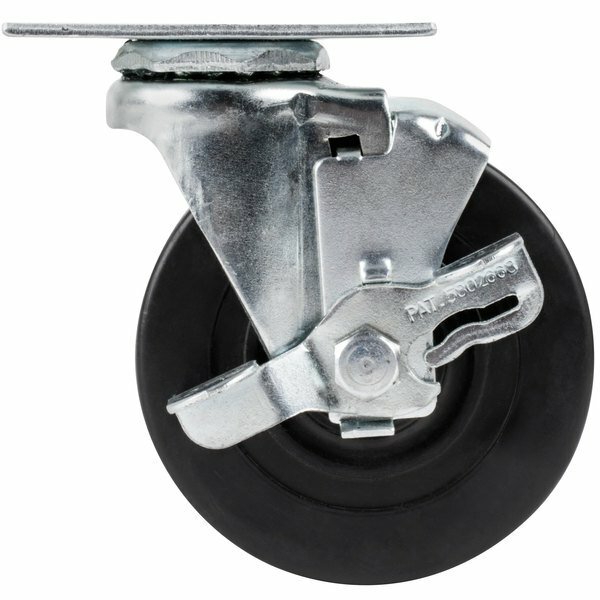 This caster has a 115 lb. 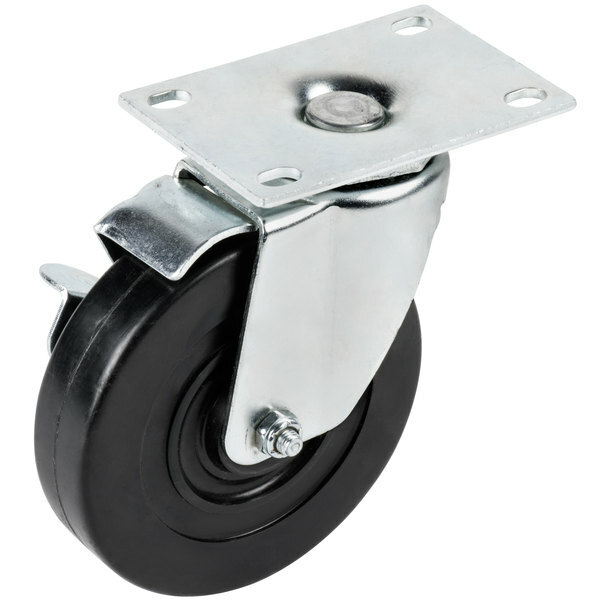 capacity and raises the unit by 4 3/4". This is a universal part that fits many models.